If you are a pig farmer and are looking for breeding animals that are free from MRSA, you will find here the first list ever showing farms whose pigs have officially been tested by the authorities and found to be infected. You will have to take extra precautions if you want to deal with these farms. You can demand that they produce a recent MRSA attest so you can know if their pigs are still infected. The authorities had in 2012 a plan of action to hinder the spread of MRSA. It was supposed to assure commercial networks that were free of MRSA, but it was given up in silence, because it would have been too expensive for the farmers. The economic and medical consequences of this decision for the Danish population were not taken into account. If you are looking for a job in the farm sector, the list can be used to find establishments which have or have had problems with bacteria in the workplace. For producers, neighbors and the local population in the vicinity of pig farmers, the list also provides clear and honest information about the presence of infection, as the Veterinary and Food Administration (Fødevarestyrelsen) investigated it in 2011 and 2014. In the latest investigation from 2014 there are 181 larger pig production units, which either produce piglets for sale or pigs to be slaughtered. Together with 97 others, their animals were thoroughly tested in 2014 for the infectious staphylococus bacteria, known under the term MRFSACC398. The result was that 68% or two out of every three farms were found to be infected. It is these farms which are on this list, together with 29 infected farms from 2011. In the list from 2014 we do not provide 15 names, because they according to the CHR-Register have since changed owner and address. In the list from 2011 we for the same reason do not provide 5 names. But we do provide a name where owner and address were later changed, but this is due to the fact that the owner was one of the five pig farmers who subpoenaed the Ministry in order to keep the list secret. Erik Larsen, then head of the Knowledge Center for Pig Production, owned one of the MRSA-positive pig farms in the 2011-investigation. He was also one of the five farmers who Agriculture and Food used to subpoena the Danish state in order to stop the publication of the list over MRSA farms. The attempt failed, but it did prevent the information from appearing for one and a half years, from July 2014 to January 2016. The authorities have until now kept secret the names and addresses of the farms, as a result of pressure from the private association for farmers, Landbrug & Fødevarer (Agriculture and Food). A decision from the Danish Highest Court of 22 January 2016, however, has put a stop to this secrecy. Thus for the first time it is possible to know where in Denmark the MRSA-infected pig farms are to be found. After this decision we gained access to the original investigation from 2011, which fills a page of text. It can be seen here. After the decision we also gained access to the 2014 investigation, but the latest survey from 2015, according to the Veterinary and Food Administration, is not completed, and so the authority is not yet releasing any information from this survey. In Denmark the first cases of MRSA CC398 in pigs were found in 2007. A random sample in 2010 showed the presence of MRSA CC398 in 16% of Danish pig farms. (DANMAP 2010). Investigation of the situation in 2014 revealed that the epidemic had spread to 63 to 70% of the pig farms investigated. Possible MRSA in chickens was checked in 2010, and it was not found. Chickens and other types of farm animals were systematically investigated in 2015, but the results are not yet available. The MRSACC398 bacteria, which is resistant to antibiotics, has now also spread to some of the 17 million mink, which every year are raised on 1400 Danish mink farms. DTU Veterinary Institute has last year tested 32 small groups of mink, which were ill or died for other reasons than MRSA. 12 of the 32 groups revealed animals with the infectious MRSA, which previously had infected 68 % of the pig farms. MRSACC398 bacteria is normally not dangerous for pigs, but it infects human beings, where it can cause serious infections that can lead to blood poisoning and death. MRSA CC398 infects for the most part persons in direct contact with live pigs or members of their households. Even if MRSA CC398 can be found in meat, there is no indication that the preparation and consumption of such meat involves a significant risk of infection. Thus there are only a few cases of patients with CC398 in Danish towns. Chairman of the farmers association Landbrug & Fødevarer, Martin Merrild says the Danes must learn to to live with swine-MRSA. In May 2014 it came to light that three Danes in the years 2012 and 2013 had died as a result of MRSA CC398. Later the same year two further deaths were registered. In 2014 there were established eight cases of bakteaemia (bloodpoisoning) with MRSACC398, in which two patients died in the course of 30 days. In both cases it was not possible to establish that there had been contact with pigs. The bacterial tests which are the basis for the list were made by personnel from the Veterinary and Food Administration, which should be contacted if it is thought that there are errors in the list. Investigative Reporting Denmark has presented to Claus Fertin, director in Seges under Landbrug & Fødevarer the edited lists over farms infected by MRSA. We removed information about owners and addresses when they had changed since the investigations. He has answered by email that he has no comment on the announcement. In complete silence the authorities already in 2012 decided not to deal with the MRSA-epidemic on the pig farms. The Minister for Food and the Minister of Health had in 2012 established an “action group” whose purpose was to formulate proposals for procedures that could diminish the presence and spreading of MRSA in domestic animals, but the group’s recommendations were rejected. This development is apparent in the Rigsrevisions Report to the state auditors on actions by the Ministry of Food against domestic MRSA. “A working group under the action group identified 8 proposals to deal with MRSA in domestic animals, including a proposal to declare farms free of MRSA and establish commercial networks free of MRSA. This was in continuation of the Food Administration’s earlier research project to develop a test to declare farms free of domestic MRSA. The steering group discussed the proposal but was concerned that publication of MRSA status would be very costly for the pig farmers, and that MRSA-free commercial networks could be problematic in relation to the already extant trade restrictions for salmonella. The chair of the steering group was veterinary director Per Henriksen. As it appears, it was economic considerations which convinced the steering group to choose not to deal further with MRSA-free commercial networks, even though the group “recognized that contact with contaminated animals in commercial exchange is the primary source of infection”. “MRSA has come for good. The tone has become too shrill. But we must not believe that the debate about MRSA will disappear without our own efforts. There are claims about an epidemic that is out of control, and forbidding entering pig farms. The staphylococus bacteria MRSA CC398 has recently led to dramatic stories in the media, and also to concrete restrictions of a political character limiting pig farming. The key to avoiding the development of MRSA-bacteria is reduction in the use of antibiotics, which is twice as large in Denmark for domestic animals as for humans (DANMAP 2014). Leading microbiologists such as professor Hans Jørn Kolmos, Odense University Hospital, recommend that the consumption of antibiotics should be reduced by 90%, not just 15%, before 2018. “Antibiotics should be virtually eliminated in Danish pig farms, and this can certainly be done,” insists Hans Jørn Kolmos, together with his colleague, professor Henrik Westh, Hvidovre Hospital, according to the Danish journal Ingeniøren (The Engineer). The two researchers criticize the plan of action which the Socialdemocratic Minister for Food Dan Jørgensen presented in April 2015, which the minister claimed would reduce the use of antibiotics by 15% before 2018. “In my ideal world antibiotics should be completely removed from the pig farms. 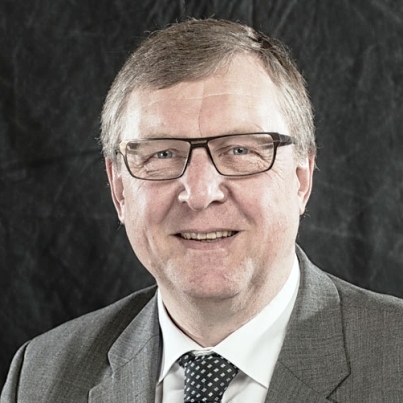 If in the next three years we can reduce consumption by 50%, this is a beginning,” said professor and head doctor Henrik Westh to the journal Ingeniøren. He leads the Knowledge Center for MRSA at Hvidovre Hospital. Hans Jørn Kolmos thinks that the consumption of antibiotics can be reduced by 90% and not just 15% before 2018. “We should look to able pig farmers who can reduce their consumption to 10% of what it is today. The ecological farmers can also do so,” he points out. Pig farmers can reduce the consumption of medicine by up to 90% and in this way help prevent MRSA bacteria from gaining an advantage in terms of selection. 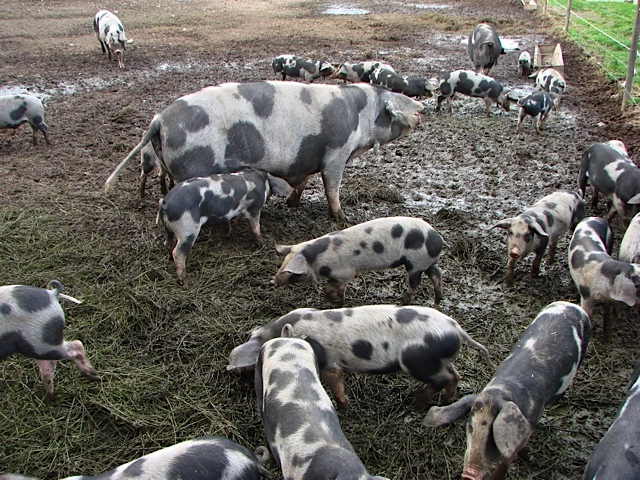 Here are black speckled pigs at Petershave. They are kept free of medicine. Picture: Susanne Possing. Hans Jørn Kolmos points out to Investigative Reporting Denmark that the elimination of paths of infection, good hygiene in the stall and the reduction of antibiotics/zink are procedures that complement each other and which should be central in the strategy of the authorities and the farmers in fighting MRSA. By establishing commercial networks that are free of MRSA, the continuing spread of MRSA to pig farms would be stopped. By means of good hygiene in the stalls, in dividing them up and giving pigs more room, removing dust and better ventilation, the spread of infection is reduced. By reducing antibiotics and zink, the advantage of selection is removed that MRSA and other resistant bacteria have in relationship to normal bacteria that are sensitive to antibiotics. A healthy normal bacterial flora in the animals increases the animals’ resistance to colonisation, so they more easily reject resistant bacteria. A healthy normal flora also increases the resistance of the animals to, among others, diarrhea-type illnesses, so they have less need of antibiotics. See Åbenhedstingets (Open Parliament’s) overview in Danish of the fight to gain insight in MRSA. 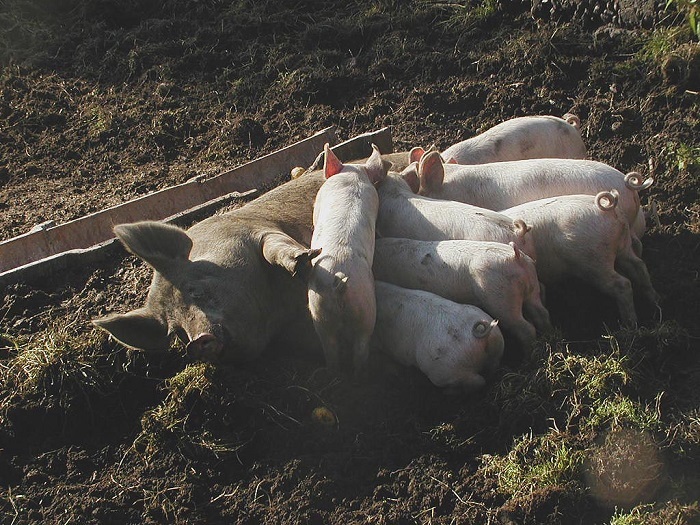 While 68 percent of the conventional pig farms is infected with MRSA CC398 only six percent is infected in organic pig farms, according to the screening in autumn 2015. Data from this screening is added to the data in the Google Spreadsheet.